We ship all product by CTT (Portuguese Mail). On your shopping cart, select the delivery country and it automatically calculates shipping costs for your order. If your country is not listed, please contact us so we can give you the value your order shipping costs. In most cases delivery of goods will take between 1 and 7 working days, according to the package weight and address the goods are being delivered to. Payments can be made by bank transfer or by credit card via PayPal. Do you offer safe online payment options? We chose bank transfer and Paypal as payment options because they are the most secure ways to pay online and, for your own security, we don’t have access nor store any of your credit card details. Choose your preferred products, add them to the shopping cart and proceed to check-out. You can do so as a guest user or as a registered client. 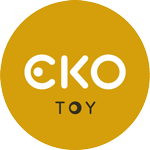 If by some unforeseen reason you need to cancel or make a change to your order, please send us an email to info@ekotoy.com as soon as possible. In case your purchase hasn’t been shipped yet, we are more than happy to help you make any necessary change. However, if the package has already been dispatched, we can no longer cancel or change your order. No, you can place an order as a guest user. To track your order please visit the Order Tracking page and enter your order ID (included in order confirmation email). First step to any return/exchange is contacting us as soon as possible. We will get in touch to help and guide you though the returning process.